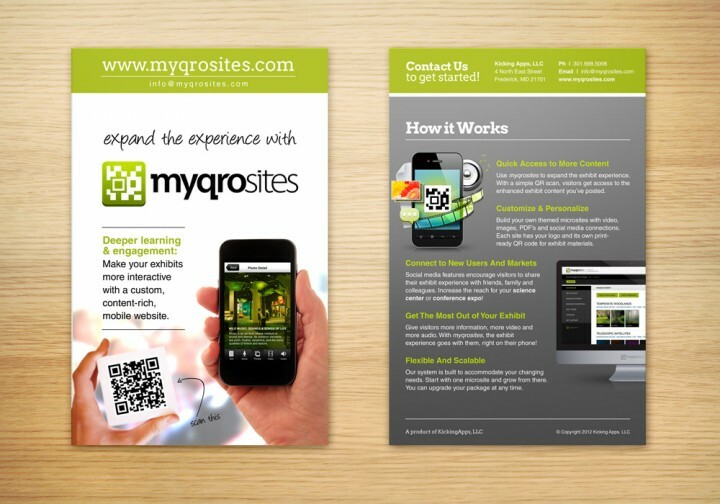 Myqrosites - Wood Street, Inc. 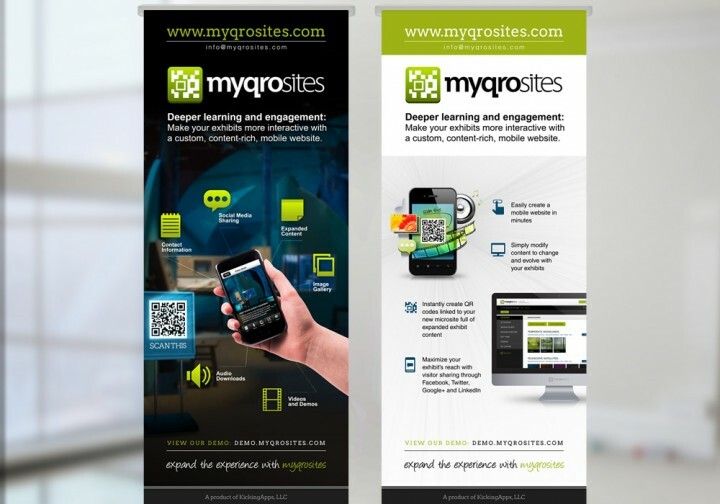 Looking to showcase their brand new product at ASTC’s Annual Conference, Kicking Apps, LLC needed trade show banners, brochures and business cards that effectively showed the power and ease of the Myqrosites solution. 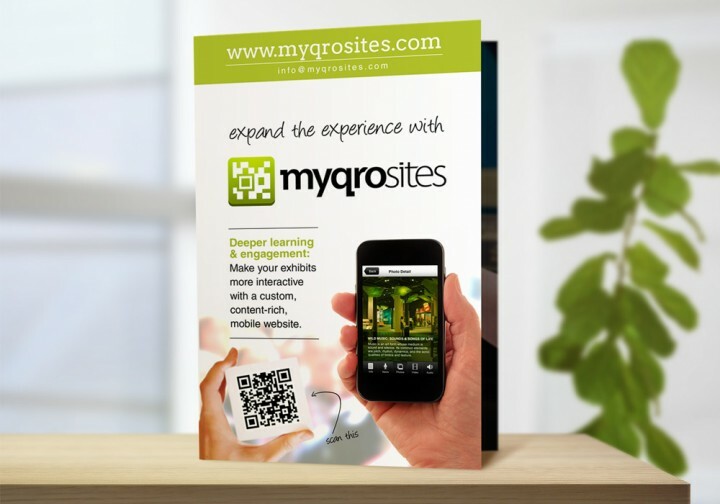 Wood Street designed two pull up banners, a brochure and business card that focused on how the science centers directors attending the conference could use Myqrosites to enhance their exhibit experience. 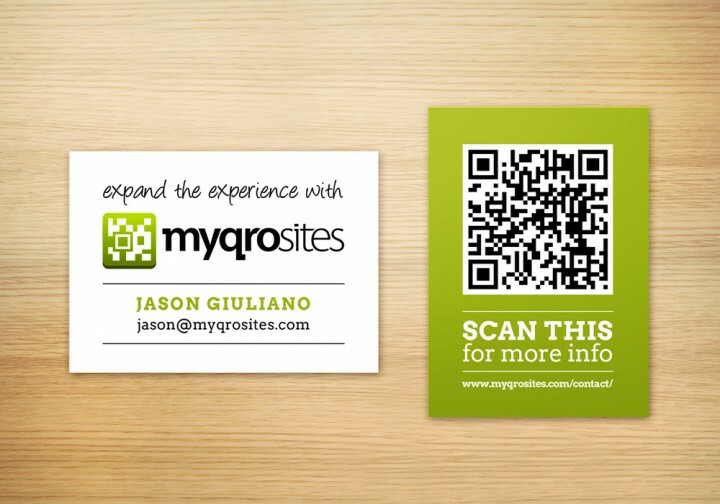 The collateral came complete with QR codes linking to a product demo that the attendees could view right on the spot.